I stopped in at Shellback Artworks in Wells, Maine, today to see my buddy Steve Lavigne. We hung out together for a couple of hours, during which time I signed a bunch of things, inked a drawing of Steve's in a book for a fan, and did exactly one dozen large TMNT head sketches for Steve. Hello Peter! Thank you for letting us know about this! I will gladly buy one of those sketches colored or not, but please dont punish me for not using facebook.. is there an email I can reach Mr. Lavigne at? Thank you very much! 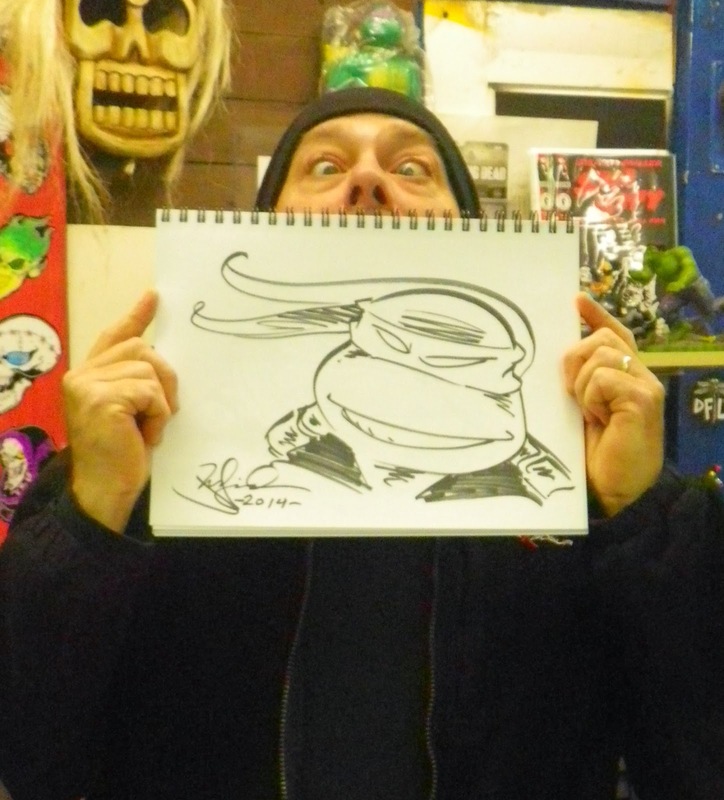 Mr Laird, I have been a huge fan of TMNT since 7 year old, (Currently 14). I really loved the series. May I ask you if you can post TMNT vol.4 #29? I really want to read it but can't seem to find it. Thank you for reading this message and please post the issue. I really want to read it. Thank you so much!